More details on Story Mode. 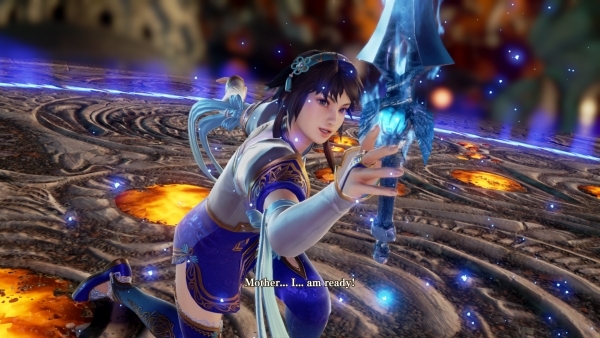 Soulcalibur VI will have another major single-player mode in addition to Story Mode, producer Motohiro Okubo has teased. “We’re preparing another major single-player mode, but I can’t say anything yet,” Okubo said in the latest issue of Weekly Famitsu. The magazine does offer details on Story Mode, however, which is dubbed “Soul Chronicle.” It adds new episodes to the series’ origins. It is set between 1583 and 1590, and dives deep into the story that starts in 1586. The story develops through conversation scenes, 2D and 3D demo scenes, and so on. Depending on the scene, a battle may also commence. Separate scenarios of considerable volume are being prepared for each character.